The "new" economy has taken its toll in Birmingham and it looks like the 300SD is not going to get to staywith me. 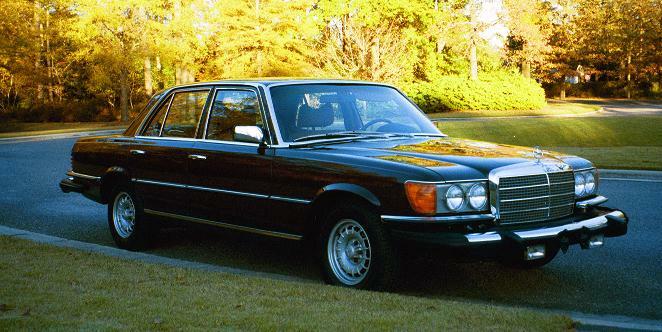 My 1980 300SD is Manila brown with Bamboo interior. It currently has about 117K and I have driven it every day since I bought it! The old Ford 150 just sits in the drive....it's alot hungrier. Originally a Texas car, so no rust. History is fairly well documented with books and records and I am the second owner. (Original owner was a physician in Texas and his son in Atlanta inherited it when he passed away, so technically I'm the third owner. The son didn't drive it much, though.) At any rate, my intention was to restore it to like new condition and I have, in the past year, replaced all of the leather & pads(covers from World Upholstery and professionally installed), the covering on the package shelf (have the original First Aid kit), put new Michelins, new Alpine CD with Fosgate speakers (in the original holes...the installers hated me...still have the Becker), new valve cover gasket, all new filters including the gas tank filter, new belts, new trans filter/fluid, r&r coolant and thermostat/cleaned radiator, new battery. New A/C was installed by the PO in 2001. New MB floor mats. Probably some other stuff I've forgotten. My understanding is that 15 bars is the low end, so I guess #4 may be bit weak. My local guy has indicated that a valve job should correct any loss there, but the thing runs so well that I chose to leave it alone. Smoking is minimal even under acceleration and the more/longer I drive it, the better it seems to get. Just got back from 2 long trips to MS and back, holding steady @ 70-75 most of the way and it loved it. Paint - older repaint, but is glossy and decent. What appears to be some minor bondo on front passenger door where paint is not as smooth, but not bad. Gramps must have had a door dinger. 3 small door dings in driver's door. 300SD designation was removed at repaint, but I have a replacement. Otherwise, body is excellent and straight. Chrome is beautiful with no oxidizing. All rubber is great. Seals around windshield and rear glass are not great. Dash has small stress crack by sensor and tiny ones at instrument panel. Wood is good with normal stress cracks @ AC panel and vents. Still glossy and clear. Not much left to do on this one....I'm not happy about letting it go, but would rather that someone who appreciates what it is finish it up. I've invested close to $8K, but would entertain a reasonable offer or answer any questions. If anybody is interested, I will try and post some pictures. e-mail me with how much you'd like for the car? sorry youve got to sell.even more sorry i cant buy.but i bet that package shelf looks great! Looks like the Tootsie Roll is leaving me officially....if anybody is interested, I will sell to a Forum member for $6800. Over $6K has been spend in restoration (physical and mechanical) in the past 18 months, so heck, the car is almost free! I plan to Ebay later this week if nobody is interested! Man! wish I had the cash laying around! Wanna trade for my 190 16-valve?? I wish I had the cash laying around, too.....then I wouldn't need to sell her....:p Unfortunately, that is my issue, too, so the swapping wouldn't help! Thanks for the offer tho...I bet that 190 is sweet. I don't know, 79, but I'm not sure why you are insulting my car or the price....I haven't forced it on anyone or offered anything misleading about the condition. It is what it is and I've got receipts documenting all work. Maybe it's location.....maybe it's the history available in posts... maybe it's the color....maybe it's the $2800 in new leather and pads....maybe you meant to come across as a nicer person? Good luck with your sale. Terry, I apologize for my frustration with the sale of my car. No offense meant. I just couldn't understand why there are so many replies and interestes in your car and none in mine. It didn't make any logical sense to me. Hope you understand what I mean. I apologize for my rudeness. Best of luck with the sale of your car. I'll rudely throw my hat into the conversation with my own 2 cents and piggyback what TXBill said. Several months ago I purchased engatwork's E-320 for two reasons: he gave me a good honest deal on the car and I also knew his history as a forum member. That meant a lot to me because I figured no one that's been that involved with the forum for so long would cheat a fellow member. It's a bit of an assumption, but fortunately it was a correct one. I couldn't be happier with my "new" car! Good luck selling your car. PS I advertised my 190E 16-valve a couple months ago and it still hasn't sold. I suppose a price drop is in order! Hey Bill, whaddya mean, not a bargain?? I think my blood, sweat and tears alone are worth the asking price.....:p :p :p OK, it's not cheap, but it's basically new at this point..........and like you always told me, there's nothing as expensive as a cheap Mercedes. Or was that my dad? TClanton, I just read all the posts on this thread and the thread by 79MBZ, and I would like to share with you that selling a car can be frustrating. Every seller's situation is different, but ultimately, all other things being equal, he must decide how much the car will bring in the market place. The single biggest factor is time. The size of the market for the particular car as determined by the popularity/appeal/desirability of the particular model which affect the time required to sell as well as the price. If you want to sell quick or in the very near term or span of a month or so, you may have to almost give it away, especially in this economy, if it is not a Honda, Toyota or Nissan. If you have the time and patience, you can get a fair price for a car. I sold my son's 93 Accord and my Mother-in-law's 92 Accord this past summer within a month and got KBB private party value plus about 17%. I also spent three months scouring the Southeast to find a replacement for my son's Accord - a 98 Explorer sport with 47K miles for KBB trade-in value. I just sold a 1967 Sunbeam Alpine that took me a year to get 75% of my original asking price. I got earnest money yesterday on a 1966 Mustang 6 cyl that has been advertised for about a year. I came down $100 off my asking price. Last spring I sold a 1969 Mustang coupe with a new interior, after rebuilding a 351 Cleveland engine with new pistons, rings, bearings, one step up cam, lifters, rockers, timing chain, and new valves. The car sold for the asking price within one month. 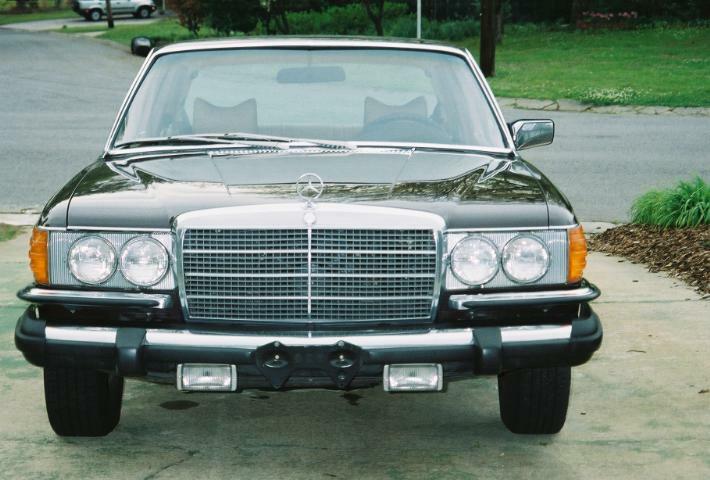 I have a 96 C280 posted here that I may be asking too much for, but my take on the economy now is that cars are slow, Large cars even slower. I contemplated ebay, but my obervations are that MB's are attracting many bidders on ebay. I'm not a dealer, just retired and trying to clean out my garage. The 66 Mustang about cleans it out except for a 82 Toyota work truck with 80K miles whose value to me as a spare vehicle and occasional hauler far exceeds what it would bring in the market place. I hope you have already sold your MB.